We’re web designers, marketing strategy creators, and love working with you to grow your business. At Exposure by Design we recognise that Internet Marketing can be confusing and takes time that most small businesses don’t have. 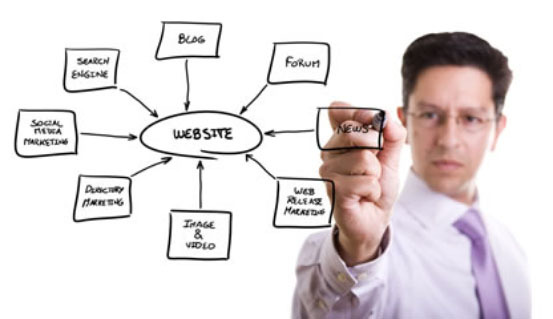 We are not just another web design company. We are a company for the business owner of today. Whether you’re a fresh, new restaurant looking to start a buzz, a long-standing professional practice that needs to catch up with the times, or a small but ambitious enterprise looking for a professional, affordable web presence, Exposure By Design has the means to give your business the face you want and to put this face in front of the people who want to be your customers. We use a series of measurable online marketing strategies to build specially tailored solutions for our clients. By focusing on your business as if it is our own, and by treating your customers as if they are our customers, we work to bring you maximum profit and an optimal return on your investment. When you work with us, you have your own marketing department, complete with years of experience and the latest in market data analysis technology. Finally, you can focus on running your business while leaving the online marketing to the professionals! Why work with Exposure By Design? Effective marketing is not a one-size-fits-all service. It is the product of close consultation, in which we make it our business to understand yours, inside and out. At Exposure By Design, we look to continue developing long-term relationships with our clients, providing support, services and assistance on an as-needed or year-round basis. Working together, we create a precise strategy based on the unique goals and needs of our clients. We value relationships above all else, and genuinely seek to increase your profitability, not merely sell web marketing services. We will function as your own marketing department, and will never outsource services to a disinterested third party. Your bottom-line is our bottom-line. For most clients, it takes only a few customers to generate a return on investment. For some organisations, such as law practices or accounting firms, even a single new client will often recover web marketing costs several times over. Our philosophy is that if you are going to do something, do it right. We strive to understand and adapt to the ever-changing field of web marketing, and only follow the best practices for everything from website development to user analysis. We provide you with a total online marketing solution, tailored to YOUR specific business needs; an innovative, attractive & professional web design that will assist you to open new markets for your business is just the BEGINNING! Our quality assurance procedures will ensure you have a web presence with maximum impact and our experienced search engine marketing consultants will increase qualified, targeted sales leads from the major search engines. What makes us the best choice for YOUR business? Simple: we want you to feel like you are our most important client, and strive to offer outstanding customer service before, during, and after the project. At Exposure By Design we guarantee our work and get results, whether you’re looking for a simple website design package or complicated website application development. We closely follow new technology and trends in all aspects of online marketing, design and search engine marketing and provide a solution that effectively implements fresh ideas and innovative approaches. Our team of website design and development professionals treat every client individually, we place great emphasis on your needs and are genuinely interested in the success of your business. Our websites will earn you money; we offer a solid return on investment because we build websites to be found & generate targeted sales leads & revenue. We treat you like the professional you are, supplying you a dedicated Project Manager to take full control of your website development. We save you time and money, using the WordPress content management system allows you to make changes to your website, once the site has gone live. We have our own design division for photography and graphics – quality imagery is critical for a successful website.